85% of drivers believe, that they drive better then average. Over estimation of own capabilities is common to all human activities including IT. With this information in mind, “self-assessment”, internal audits, can be hardly perceived as objective information about IT quality. How good is our IT ? Do we manage our IT in line with best practices ? Do we improve or stagnate? Do we spend IT budget efficiently ? Do we deliver IT services in quality and cost anticipated by business ? Where are greatest opportunities for improvements ? 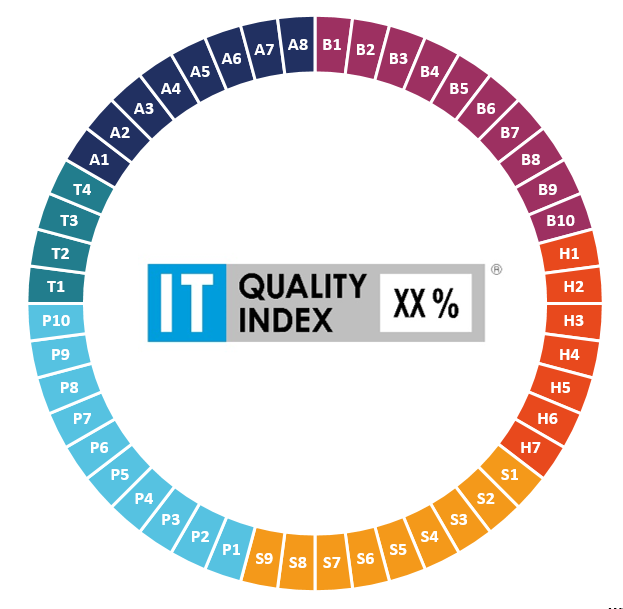 How IT quality compares to other IT departments ? Are we better then others ? Q4IT delivers quality assessments based on IT Quality Index framework. IT Quality assessments are delivered by Accredited IT Quality Expert – AITQE.